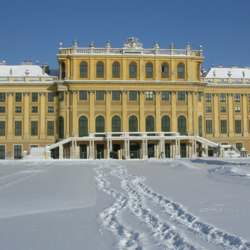 Join us for our traditional Sunday "Run & Brunch", this Sunday in Schönbrunn! They will kindly let us leave our bags there while we run. However, any valuables left in your bag are left at your own risk. We're a friendly group of runners of various speeds and running distances, and the group normally splits into sub-groups during the run. This group is not about racing or leaving people behind: it's about getting some fresh air and exercise in good company. Afterwards, round 11:00am, we all meet in the cafe to enjoy a nice brunch together! Not run with us before? Worried about our pace? Firstly, don't be! And secondly, why not just join us for brunch or a coffee after. We'd love to meet you!